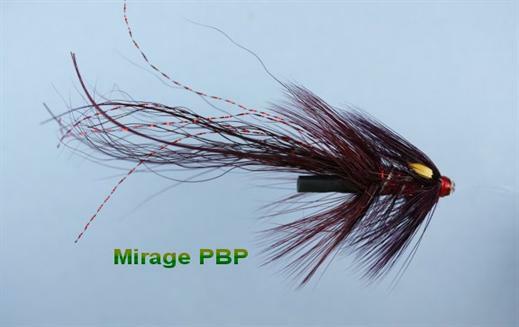 The Pot Belly Piglet Mirage JC is one of the deadly Pot Belly Pig series of flies that is fast becoming one of the most successful flies for Salmon and sea trout. It is an excellent summer and autumn pattern that works well in clear, murky and peaty waters. Currently there are no comments about the Pot Belly Piglet Mirage JC fly pattern from other fly fishermen yet.